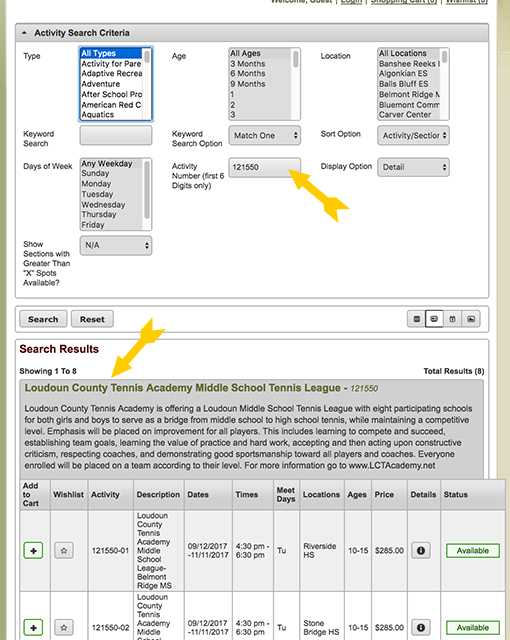 (Ages 10-15) Loudoun County Tennis Academy is offering a Loudoun Middle School tennis league with nine participating schools for both girls and boys to serve as a bridge from middle school to high school tennis, while maintaining a competitive level. Emphasis will be placed on improvement for all players. This includes learning to compete and succeed, establishing team goals, learning the value of practice and demonstrating good sportsmanship toward all players and coaches. Everyone enrolled will be placed on a team according to their level. Please note that your location may change to one of the other high schools this program due to registration numbers.